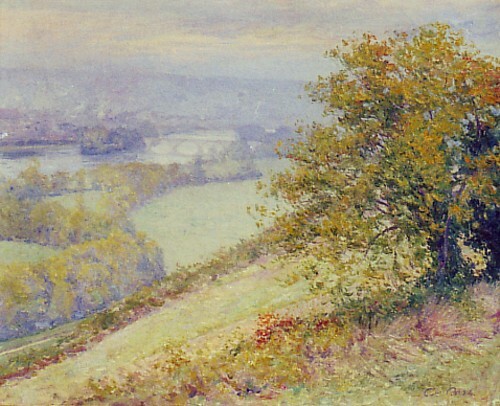 Guy Rose, a native Californian, was born in San Gabriel, CA on March 3, 1867. He was the son of a former senator who was a large Southern California landholder and rancher (the town of Rosemead and the boulevard bearing that name are in honor of the Rose family). 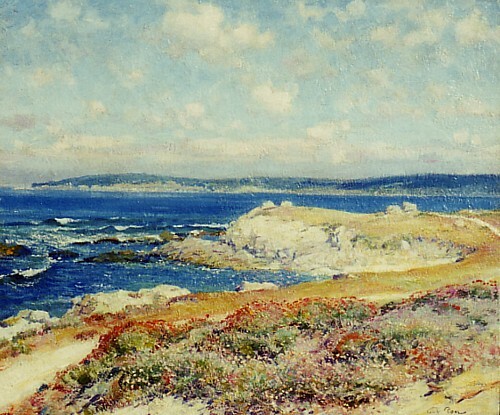 He has become recognized as one of California's top impressionist painters of the late 19th and early 20th centuries. After graduating from Los Angeles High School, he moved to San Francisco where he began his art training at the School of Design under Virgil Williams and Emil Carlsen. In 1888 he further studied in Paris under Constant, Lefebvre and Doucet at Academie Julian. In 1894 he received an honorable mention at the Paris Salon, the first Californian to receive an award from that prestigious institution. 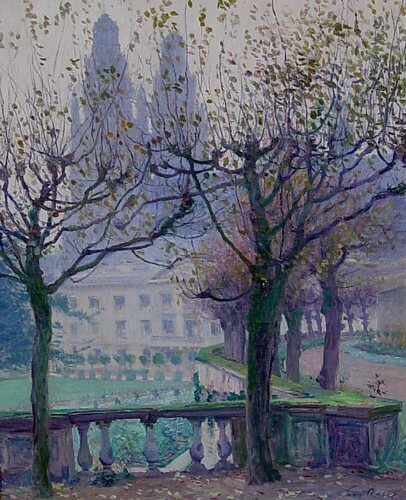 "In the Musee Gardens, Tours"
Returning to New York City in the mid-1890’s, Rose worked at Harper’s, Scribner’s and Century. In 1899, he was back in France where he bought a cottage in Giverny, and it was there that he was greatly influenced by Claude Monet and the French Impressionists. He suffered from recurring lead poisoning which affected his vision and crippled his hands, and was unable to paint for various periods of time. In 1912 he returned to New York, and two years later made his final move back to Pasadena where he taught and served as director at the Stickney School of Art. In 1920 he again suffered lead poisoning, and a stroke the following year left him paralyzed. His oeuvre includes coastal scenes, missions, figures and landscapes of California and France for which he is internationally known. ASSOCIATIONS: California Art Club; Painters & Sculptors of Los Angeles; Ten Painters of Los Angeles; Solo Exhibitions: Los Angeles County Museum of Art, 1916, 1918, 1919; Stendahl Art Gallery, Los Angeles, 1922,1926. Awards: Honorable Mention, Paris Salon, 1894; medal, Atlanta Expo, 1895; bronze medal, Pan-American Expo, Buffalo, 1901; Silver medal, Panama Pacific International 1915; gold medal, Panama-California Expo, San Diego, 1915; Harrison prize, California Art Club, 1921.